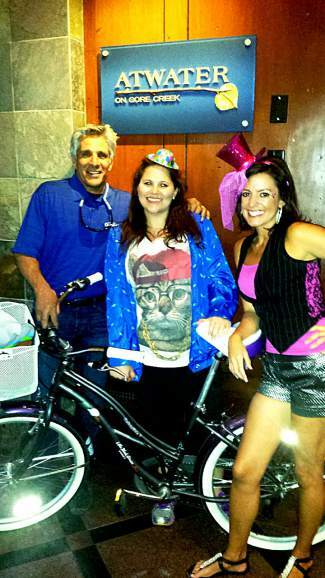 Congratulations to Marguerite Mcevoy, last weekâs Vail Cruiser Crawl winner of a new Raleigh bike! Thanks to all who came out for the event! We had a record turnout! Our next crawl will be July 13 from 3 to 4 p.m. at The Fitz, followed by Atwater from 4 to 5 p.m. and ending at the Vail Chophouse from 5 to 6 p.m. There wil be another bike giveaway. For more information, contact Nicole Whitaker at 970-343-6115 or visit www.thefitzlounge.com.